De Oude Herberg B&B is situated in the quiet suburb of Eldoraigne X18, Centurion. 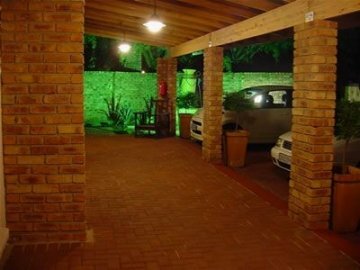 Eldoraigne is situated in close proximity to all of the major routes to Petoria, Johannesburg, Midrand, Krugersdorp and Polokwane. De Oude Herberg is just a few minutes away from SuperSport Park, the Centurion Mall and Unitas Hospital. We are also within walking distance from Wierda 2 Shopping Centre, which caters for a wide variety of services and shops, including a Spar, Fast Food Restaurants etc. Our rooms are elegant, comfortable, clean and are serviced on a daily basis. Our quality linnen and mattresses, also ensures a good nights rest.